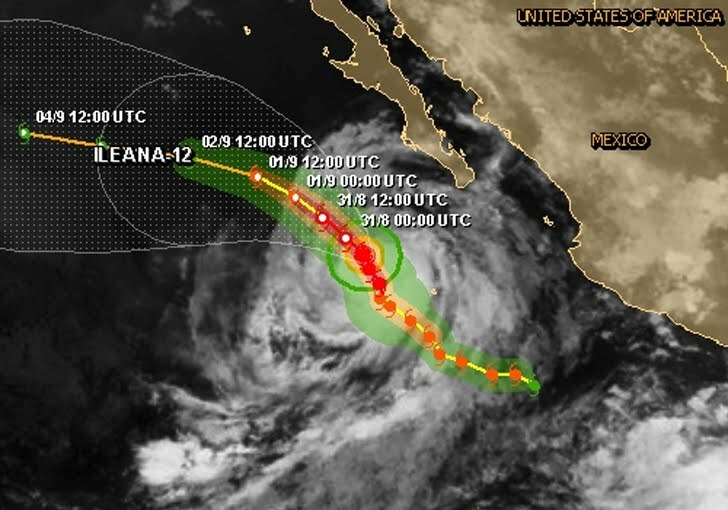 Ileana is moving toward the northwest near 6 mph - 9 km/h and this general motion is expected to continue during the next 48 hours. Maximum sustained winds have increased to near 85 mph - 140 km/h with higher gusts. 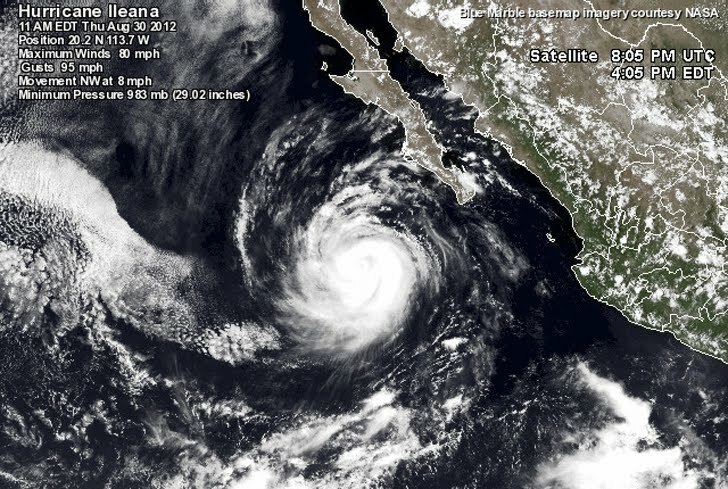 Ileana is a category one hurricane on the Saffir-Simpson hurricane wind scale. Little change in strength is forecast through the remainder of today. Weakening is expected to begin tonight or Friday.